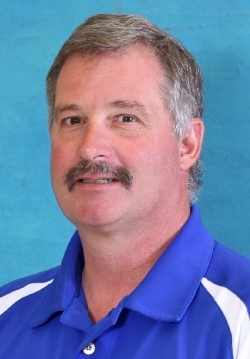 Mr. Bachaus has been Principal at Kula School since October 2012 and has been an educator since 1991. Mr. Bachaus has a BS in Agriculture from Florida State University, and a MS in History from the University of Oregon. Mr. Bachaus enjoys sports and working with horses. In addition to being an educator, he is a farrier. Hawaii DOE "About Our Schools"
Hawii DOE email addresses: Hawaii Department of Education email addresses consist of this format: firstname_lastname@notes.k12.hi.us. Principal Jane Doe's school email address would be Jane_Doe@notes.k12.hi.us. Contacting teachers by phone: Call the front office and leave a message for the teacher. Except in emergencies, calls are not transferred to classrooms during school hours. All parents and visitors on campus between 7:40am and 2:00pm must first sign in at the front office and receive a visitor or volunteer badge before going anywhere on campus. Please kokua to keep our keiki safe.